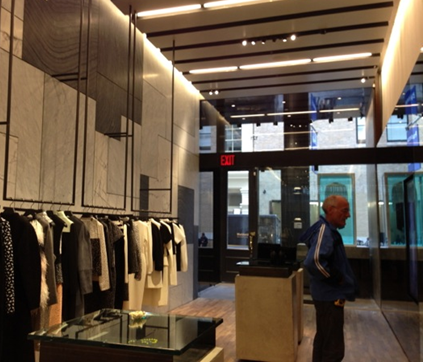 Collaborating with the award-winning Architectural firm of David Adjaye OBE, SRW provided mechanical and electrical design for this upscale boutique located in the SOHO section of Manhattan. Unique features include a double height space towards the rear of the space where a clearstory provides natural day lighting. The boutique features a sophisticated lighting control system that can be programmed with custom scenes.